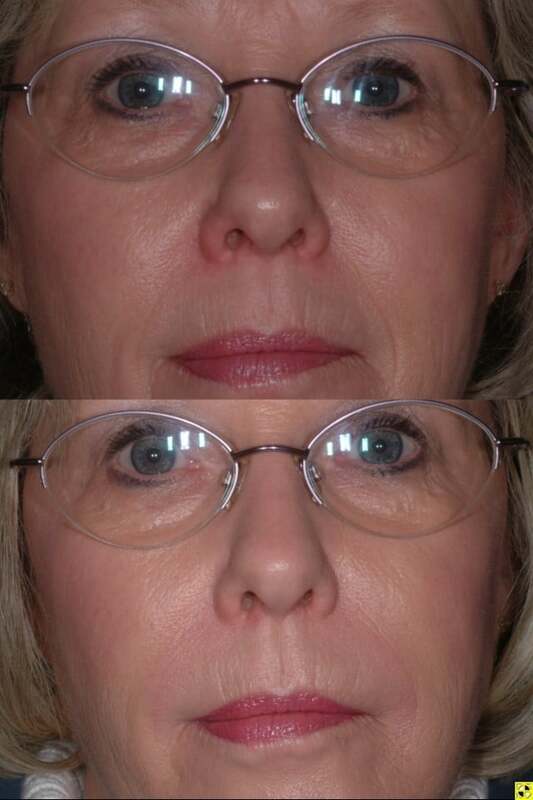 As you age, you may notice unwanted wrinkles or less volume in your face. 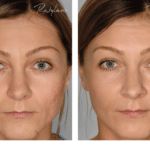 Dermal fillers are injected beneath the skin to restore lost volume, to lift cheeks, smooth parentheses lines, or plump your lips. The results are subtle and long-lasting. 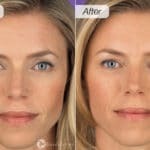 JUVÉDERM® Injectable Gel is a smooth consistency gel capable of restoring volume to skin and smoothing away moderate to severe facial wrinkles and folds. It is made of hyaluronic acid, a naturally occurring substance in the skin that helps add volume and hydration. 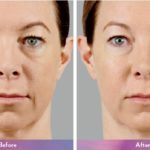 JUVÉDERM® is a safe, effective, and a non-surgical option for those that want to diminish the appearance of moderate to severe facial wrinkles. It is non-animal dermal filler of smooth consistency that, unlike most hyaluronic acid fillers which have granular consistencies, allows for easy injection and instantly natural results. 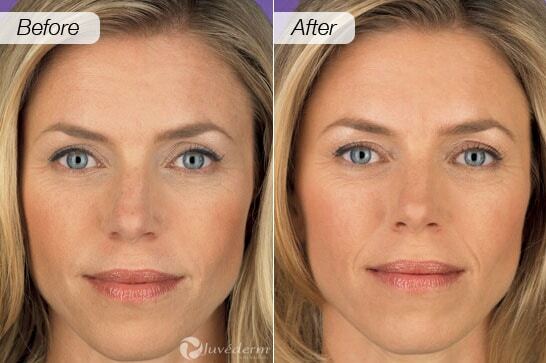 JUVÉDERM® Ultra allows for versatility in contouring and volumizing wrinkles and folds. 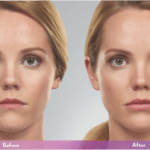 JUVÉDERM® Ultra Plus is for correcting deeper and more severe wrinkles and folds. This allows for a completely personalized treatment tailored by your healthcare professionals to meet your needs. 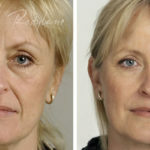 The results make you look naturally younger, refreshed and can last up to one year. JUVÉDERM® is the first FDA-approved hyaluronic acid dermal filler proven safe and effective for persons of color. The injection itself usually takes approximately 15 minutes. There is minimal recovery time with JUVÉDERM®. For the first 24 hours following treatment, you should avoid strenuous exercise, excessive sun or heat exposure, and consumption of alcoholic beverages in order to help minimize risk of temporary redness, swelling, and/or itching at the treatment sites. Some temporary symptoms, such as redness, pain, firmness, swelling, and bumps may occur but usually clear up on their own within a week. Any swelling at the injection site can be minimized with an ice pack for a brief period. Your healthcare provider will tell you when makeup may be applied after your treatment. 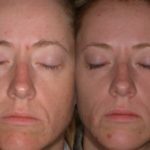 Most patients see an immediate improvement in the treatment areas and only need one treatment to achieve optimal results. Results may vary and touch up treatments may be required to maintain results, but JUVÉDERM® can smooth lines and wrinkles for up to a year. JUVÉDERM® is part of the Brilliant Distinctions program. Enjoy exclusive savings on select Allergan™ treatments and products by earning points the day of your treatment to redeem for future visits. 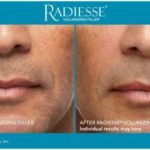 Radiesse® is a synthetic injectable filler that has been FDA-approved to reduce moderate to severe wrinkles, folds and creases around the nose and mouth by augmenting the skin’s natural collagen supply. 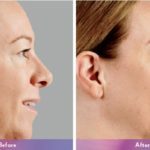 It is a safe, effective and long-lasting alternative to injectable collagen and other dermal fillers for not only smoothing wrinkles but also adding volume and contour to the face for an overall younger, fuller, smoother appearance. 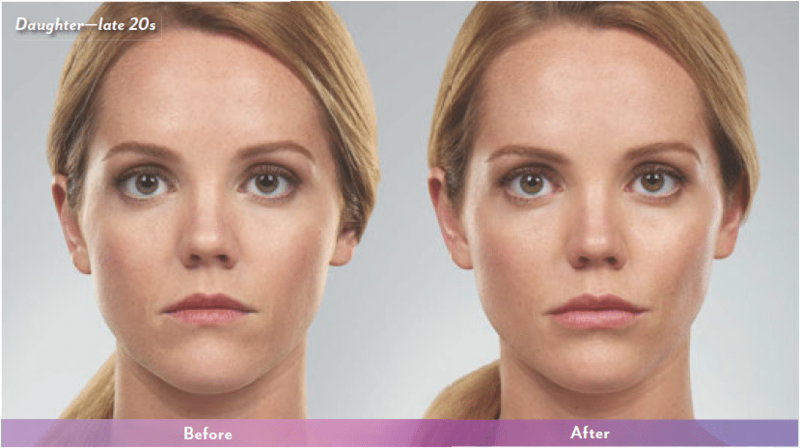 With just one or two Radiesse treatments, you can enjoy a beautiful, natural look that lasts. 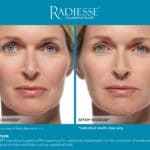 Radiesse is composed of microspheres in a water-based gel. The microspheres-made of a substance called calcium hydroxylapatite (CaHA)-stimulate the production of collagen to smooth lines and wrinkles and also add younger-looking suppleness to the face. Radiesse is made from minerals similar to what makes up our bones. There is no need for pre-treatment allergy testing, and it is absorbed naturally by the body over time. Radiesse can be used on many areas of the face and body. 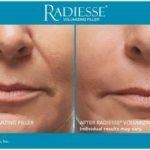 Numerous studies have shown Radiesse to be especially effective for filling and correcting smile lines, nasolabial folds (lines from the nose to the corners of the mouth), marionette lines (from the corners of the mouth to the chin), and other lines and wrinkles around the nose and mouth. It can also be used to treat depressed scars and oral commissures. 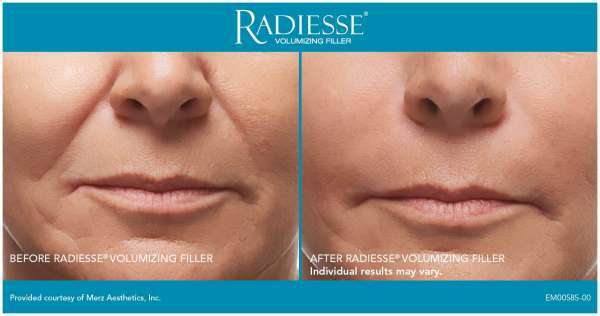 At your Radiesse treatment, your doctor will clean the treatment area and administer a series of quick injections with a fine needle. Treatments typically take 30 minutes and require only local anesthetic. There is little to no downtime for some injection sites and more downtime with other sites; many patients return to their normal activities after their appointment. 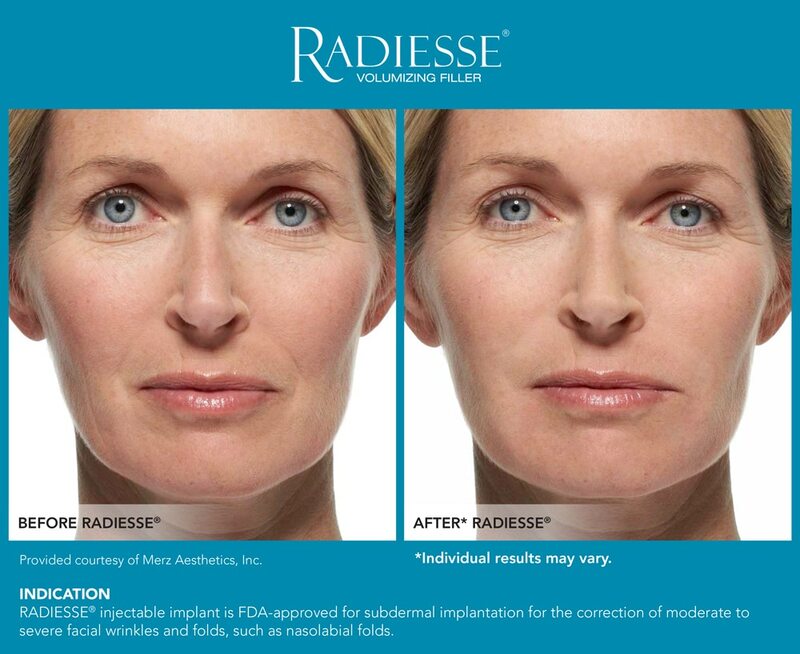 Patients typically need only one or two treatments to achieve the full effect of Radiesse. Your doctor may recommend a follow-up appointment to determine whether you would benefit from additional treatments. 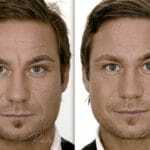 Results are visible immediately after the injection and can last for up to a year or more. 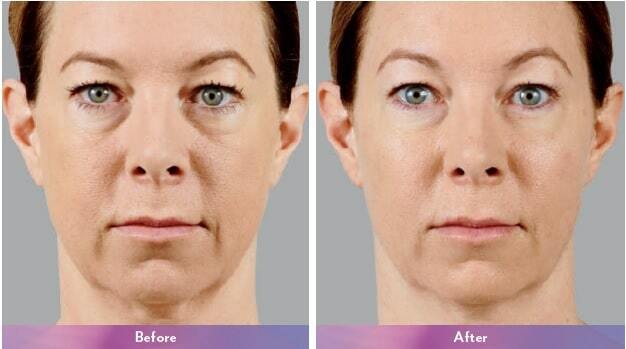 Touch-up treatments can prolong Radiesse’s effects. 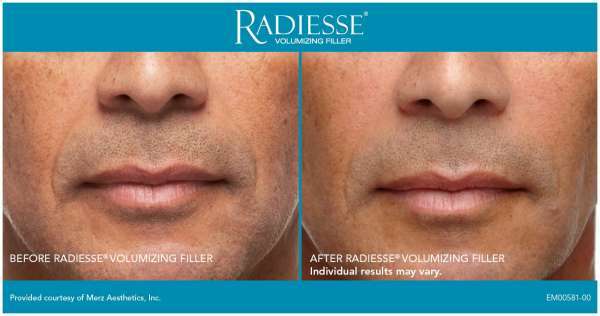 Studies have shown that patients require fewer re-treatments with Radiesse than with other leading dermal fillers. 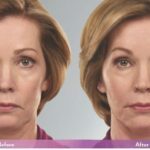 The world’s most popular and most studied cosmetic dermal fillers, Restylane® offers exceptional treatments for moderate to severe facial wrinkles and folds, especially the nasolabial folds that stretch from the nose to the corners of the mouth. 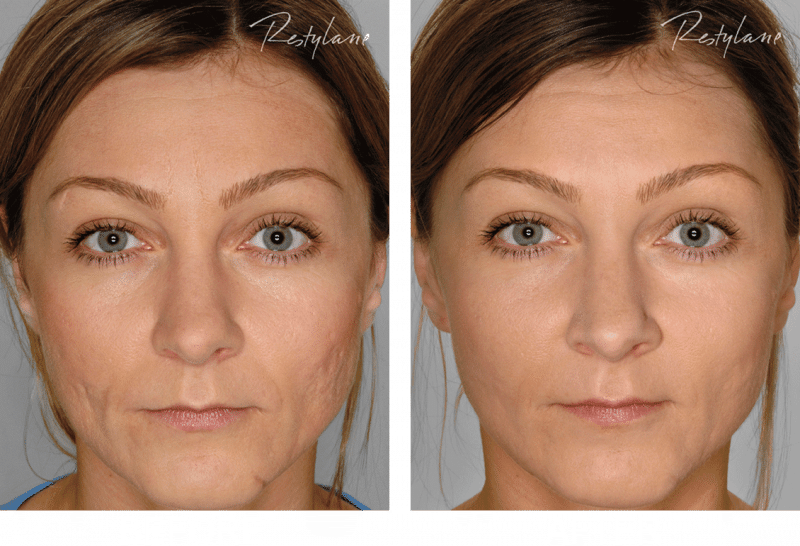 Restylane replenishes lost volume in the skin and restore youthful contours to the face by lifting and supporting tissues non-surgically. 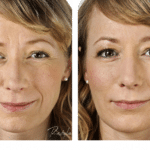 The outcome is a younger, smoother look with fewer lines and wrinkles. Results are immediate and long-lasting. Restylane is a clear, synthetic gels made with purified hyaluronic acid, a natural sugar that is found throughout your body. Hyaluronic acid works with collagen to support the skin and keep it smooth and supple. 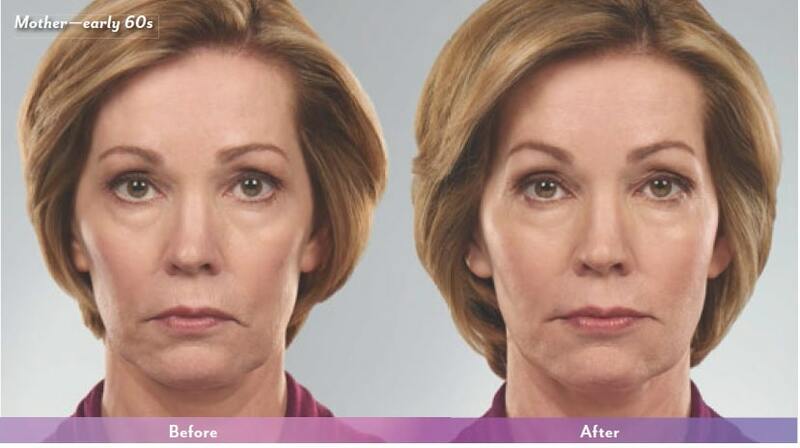 The hyaluronic acid in Restylane has been modified so it lasts longer. It forms strong bonds with water molecules in the skin, prolonging its rejuvenating effects for up to six months or more. 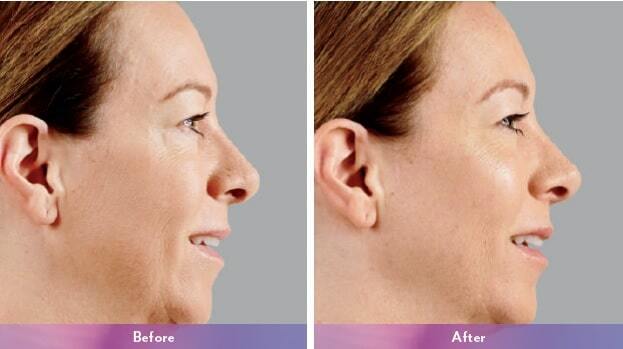 Restylane is an FDA-approved for the treatment of moderate to severe folds and wrinkles on the face. 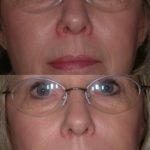 They are extremely effective in treating the nasolabial folds, the lines that stretch from the nose to the sides of the mouth. Do I need a skin test? Restylane contains no animal products, unlike many of the substances that are found in other injectable cosmetic fillers. There is no need for pre-treatment skin tests. 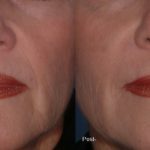 How long do the effects of a Restylane treatment last? 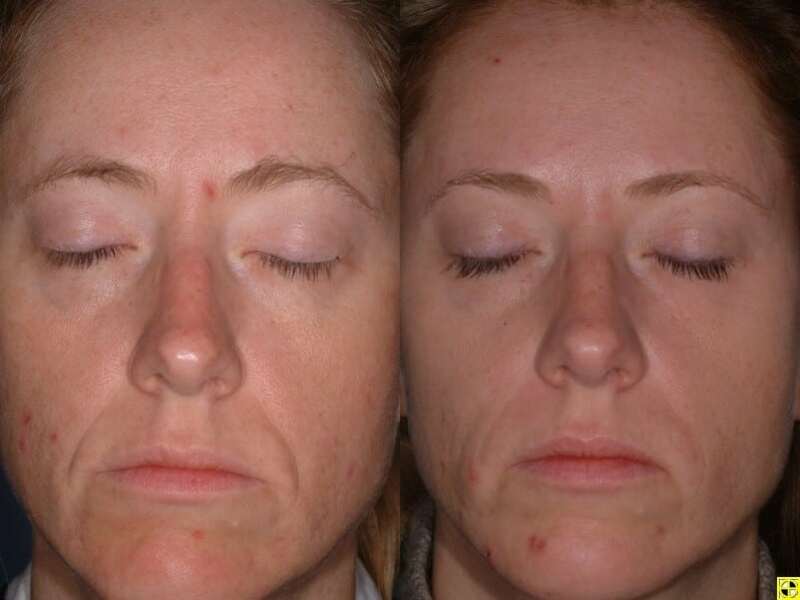 In general, the effects of Restylane treatments last six months. Results vary by individual and depend on many factors, such as the patient’s life, age, structure of the skin, the degree of perfection demanded and the practitioner’s injection technique. 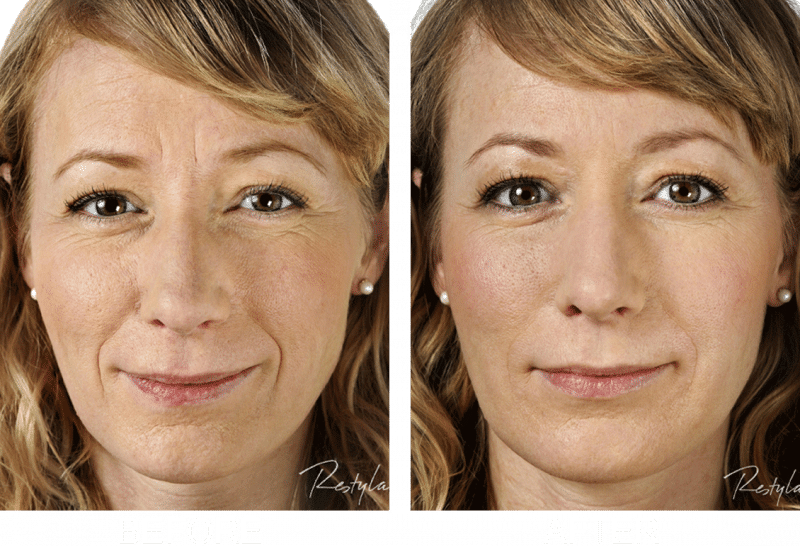 Touch-up and follow-up treatments will make the improvements of Restylane last longer. Most patients choose to have a touch-up treatment within six months to a year of the original injection(s). What should I do after my Restylane treatment? During the first 48 hours after your treatment, do not massage or rub the treated area. Do not expose the treated area to intense heat or cold for the first few days after the treatment to avoid swelling. 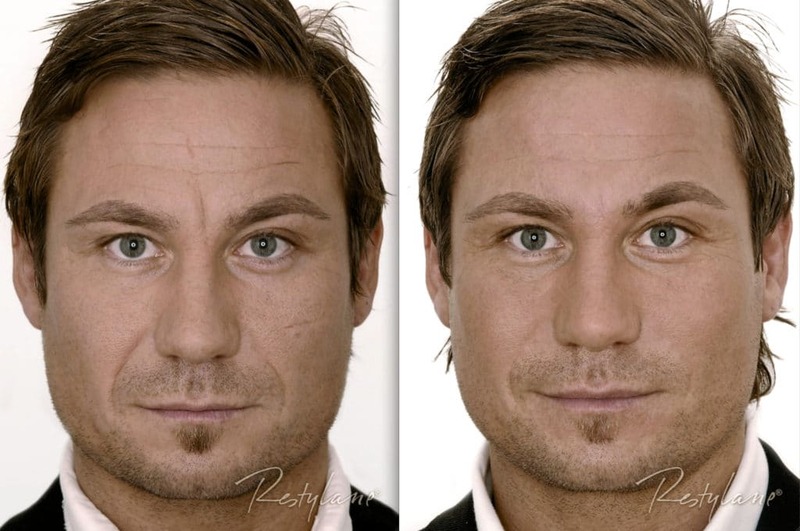 Once Restylane has integrated into the body,it will adjust to your normal body temperature.